Declining to dismiss case entirely, court ruled 7-2 to send lawsuit back to lower court, where plaintiffs can try again. 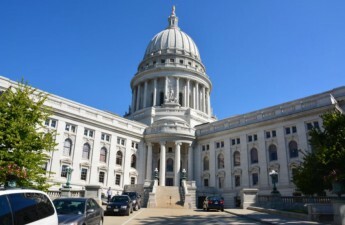 The U.S. Supreme Court ruled unanimously Monday against the claim made by many state Democrats that Wisconsin’s Republican-drawn legislative maps are unconstitutional. The ruling, however, was delivered on technical grounds — sidestepping the case’s possible widespread ramifications for partisan gerrymandering. But, declining to dismiss the case entirely, the court ruled 7-2 in favor of sending the lawsuit back to a lower court, where the plaintiffs can try again. The court’s unanimous decision on the case, Gill v. Whitford, rested on the opinion that the plaintiffs failed to prove they had a personal stake in the outcome distinct from a general grievance about government. The plaintiffs will now have another opportunity to demonstrate how Republican gerrymandering “wasted” Democratic votes and deprived them of their constitutional rights. 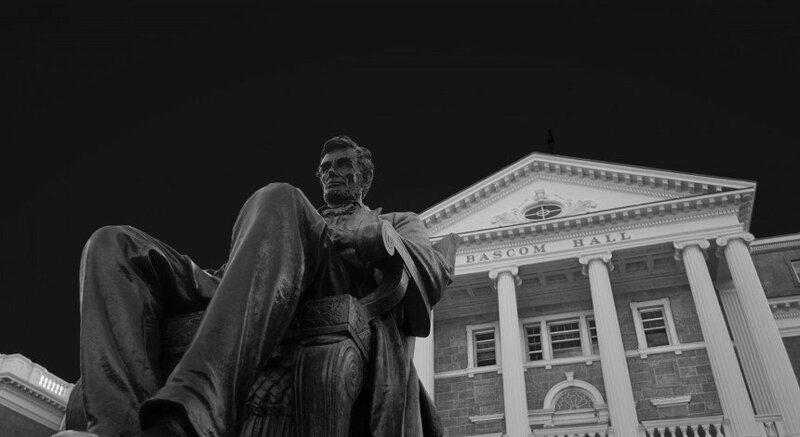 David Canon, a University of Wisconsin political science professor, weighed in on the court’s decision Monday. Twelve Democratic voters brought the lawsuit following Act 43, a redistricting plan developed and passed by a Republican-controlled state Assembly, alleging the plan carved the state’s voting boundaries to the Republicans’ advantage. 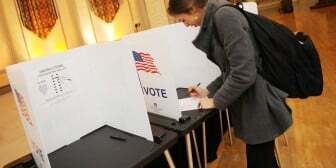 The plaintiffs argued that through “cracking” — separating Democratic voters among different districts in which those voters fail to achieve electoral majorities — and “packing” — filling districts with more Democratic voters than needed for a majority — the Republicans “wasted” Democratic votes to an unconstitutional degree. In what normally would have been a tight election in 2012, Republicans captured 60 of the state Assembly’s 99 seats with just 48.6 percent of the statewide vote, according to The New York Times. A three-judge federal District Court sided with the plaintiffs, concluding that Act 43 was an unconstitutional, partisan act of gerrymandering — the first time in 30 years a federal court decided to reject a voting map. 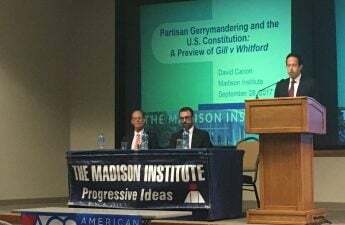 Bill Whitford, a UW law professor emeritus and lead plaintiff in the suit, argued that although he lived in Madison and was able to vote for a Democrat, he’s still hurt as a Democrat because he has no chance of ever having his party in control of the state Legislature. 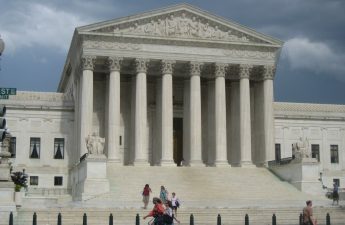 U.S. Chief Justice Roberts wrote in the majority opinion of the court that the harm to Whitford was generalized — not an individual one — and therefore does not have standing. To show specific evidence of harm, Roberts wanted evidence at the district level — not the state level. In a statement Monday, Rick Esenberg, president of the Wisconsin Institute for Law and Liberty, elaborated on the legal intricacies of the court’s decision. In past racial gerrymandering cases, Canon said the effect at the statewide level has been enough for a plaintiff to have standing. A tougher standard like the one Roberts argued for will prove difficult for the plaintiffs, as all measures of the effects of gerrymandering operate at the state level. Unsurprisingly, reactions to the decision fell along party lines. Shortly after the court’s decision, Republican Attorney General Brad Schimel said he was pleased with the court’s decision. As for why the court punted, Canon pointed to Justice Anthony Kennedy’s undecided vote. Four justices agreed that partisan gerrymandering is a problem, while four agreed that it isn’t. For 15 years, Canon said Kennedy has been stuck in the middle. 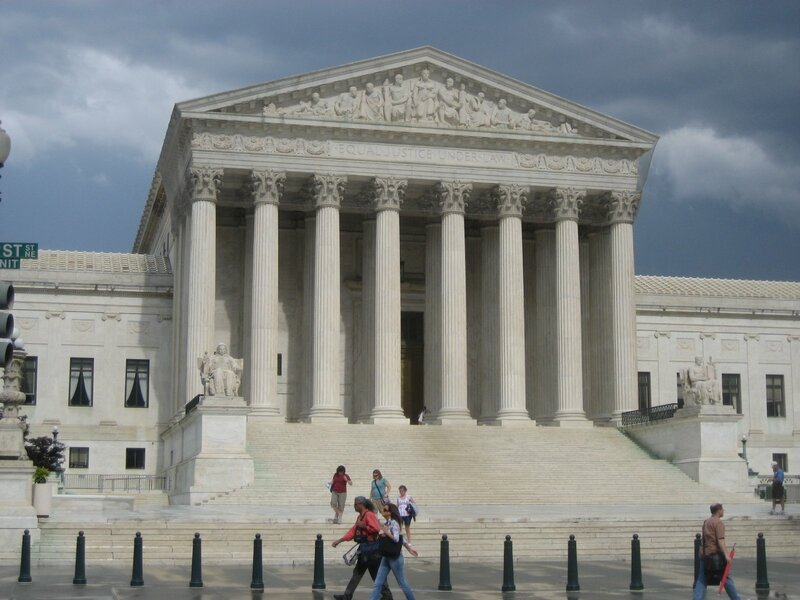 If Kennedy sides with Roberts, Canon said the plaintiffs will face a tough challenge in gathering a plaintiff in each district of Wisconsin and proving the harm done to them by gerrymandering. But the plaintiffs will have a good shot at proving harm if Kennedy sides with Justice Elena Kagan, who argued standing can be established at the state level if the plaintiff argues that partisan gerrymandering stacks the deck against a political party, which undermines the party’s ability to win elections and violates a voter’s first amendment right to political association in the process. “He’s waiting for the perfect set of arguments, and we’re not quite there yet,” Canon said.